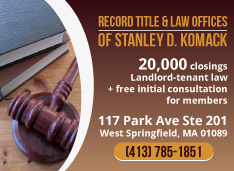 While surfing the Internet for items of interest to put into this issue, I happened upon the following court case recently decided by The Massachusetts Supreme Judicial Court (SJC). In 1990, a Massachusetts law went into effect giving cities and towns the authority to adopt building codes that require installation of sprinklers in structures containing four or more apartments. The statute applies to new construction and to existing buildings that are “… substantially rehabilitated so as to constitute the equivalent of new construction.” The question is: What defines substantial rehabilitation? Around ten years ago, a Holyoke developer purchased several abandoned and boarded up buildings, intending to make them habitable again. He applied for and received the necessary permits from the city to proceed with his project. His applications made it clear that because structural work was not involved, he did not believe he had to install sprinkler systems. In 2012, when the project was nearly complete, the city fire chief did the final inspection and ordered the installation of automatic sprinklers. The developer, Robert MacLaurin, claimed this would cost more than $120,000 for each building. He then began is journey through the appeals jungle. As such, the fire marshal, the building code appeals board, and the automatic sprinkler appeals board, all declined to hear Mr. MacLaurin’s appeal claiming they did not have jurisdiction in the matter. Following this, he plead his case in Housing Court, only to have the judge affirm the decision of the fire chief. With determination, and with must have been great expense, Mr. MacLaurin maneuvered through the legal system and was ultimately able to have his case reviewed by our state’s highest court. In Robert MacLaurin & another vs. City of Holyoke & others, The Court attempted to interpret the phrase “… substantially rehabilitated so as to constitute the equivalent of new construction.” They ruled: “… in order to require the installation of sprinklers in an existing multi-unit residential building, the rehabilitation must be so substantial that the physical structure is rendered ‘the equivalent of new construction,’ i.e., in essence as good as new. Where the rehabilitation is suitably substantial in this regard, a corollary is that the cost of installation of automatic sprinklers ordinarily will approximate the cost of installing sprinklers in a comparable newly constructed building.” (All emphasis, mine). The Court admonished the City of Holyoke, writing, “… a hearing would have been appropriate.” “Consideration might well have been given to holding such a hearing early in the project, when adjustments could be made most cost-effectively.” Nonetheless, the case was returned to the city, directing the fire chief to reconsider his decision using The Court’s ruling as guidance. Therefore, the decision does not clearly favor Mr. MacLaurin. One of the determining standards coming out of the SJC ruling seems to hinge around the cost of installation corollary. Attorney Bauer of GBREB writes: “The economic test of the corollary, whether the cost of installation of automatic sprinklers ordinarily will approximate the cost of installing sprinklers in a comparable newly constructed building, provides a workable standard for analyzing property renovations to determine whether or not sprinkler retrofits will be required.” But how this standard might be applied to a project is not clear. Atty. Bauer also points out that the SJC ruling rejects the interpretation of “major alteration” as used in other legal contexts. That term also needs a better definition. 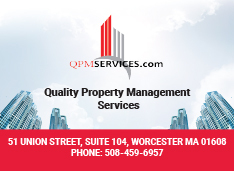 For example, the blogger massachusettslandlords.com observes that The Court determines “major alteration” to be a lesser standard than “substantial rehabilitation”, and does not necessarily trigger the requirement for sprinklers. 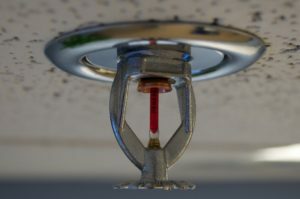 But questions arise when “major alteration” is taken up with “good as new.” Can a fire chief or building inspector, for instance, determine a major alteration to be “good as new” just because floors have been sanded and sealed, walls painted, bathrooms updated, etc., and therefore declare that sprinklers be installed? This Editor and The Blogger are not alone in the ambiguity of how the ruling applies to the practical aspects of investing in rental housing. To illustrate, proponents for the fire chief and Mr. MacLaurin are both claiming victory. Please keep in mind that the SJC decision only applies to residential housing containing four or more units. It does not apply to renovations of the standard three-decker where only one, two, or three apartments are involved. I called the Worcester Fire Department searching for specifics on the requirement for water sprinklers when buildings of less than four units are renovated. The person I spoke with could only say (1) it depends on the scope and price of the project, and (2) it hinges on individual rulings from the building inspector and fire chief of the municipality. He was not being intentionally vague; the regulations for renovations and sprinkler requirements are vague. Whether for renovations of four our more units, or for renovations of less than four units, research indicates that landlords should approach such projects cautiously. As attorney Bauer points out, local officials seem to favor installation of sprinklers wherever possible. There might need to be more cases heard in the courts to get the MacLaurin decision clearly and fairly defined. In schools with fire alarms, the pull switches have a small glass tube across the switch that will break when it is pulled. Is that just UV dye so that they can spot the kid who set off a false alarm, or does it serve another purpose? If it does do something else, why are half of them missing in schools I went to?